The revolutionary web app that is set to take the industry by storm. Designed to use in the field, the Tender Tool is completely adaptable to smartphones and tablets so you can create quotes on the go. Easily search our huge catalogue of plants from Greenwood nurseries, filter by Latin name, match code and size to find what you're looking for quickly. Create accurate quotes while you're out on site with the Tender Tool. Receive instant, live prices to save you time and effort. If you need to check with your team or get rained off site, come back to your quotes at any time to edit and refine your order. Create notes against individual items in your quote. For example, tagging bed allocations against line items, to help individual call-off later on. As soon as you submit your quote, it arrives in to our back office system for processing. Our G Team receive notification and start actioning your order immediately. 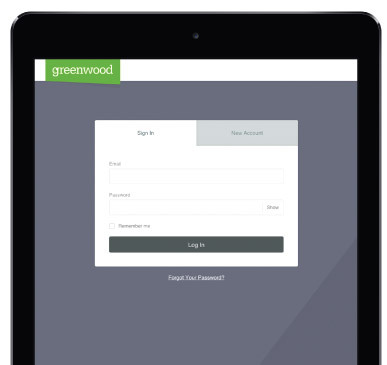 Your order history and invoices are recorded securely in your account for future reference. If you're part of a larger organisation, multiple users can be added to your account, making it simple to keep track of orders. "I can see this tender tool app is going to revolutionise our current lengthy tendering process."